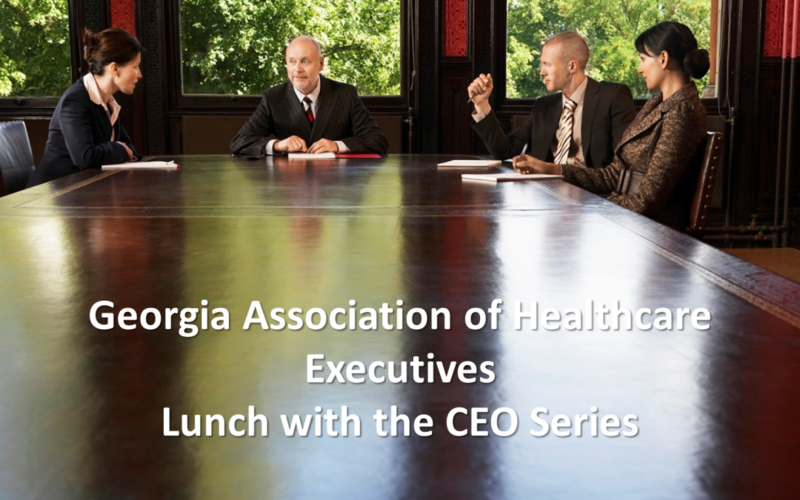 Last year, Georgia Association of Healthcare Executives implemented a program series called “Lunch with the CEO” where each month a small group of GAHE members can join a hospital CEO for 90 minutes and ask various questions about their leadership experience. On Friday (January 27), Dan Woods, President of WellStar Kennestone Hospital here in Marietta took time out of his busy schedule to meet with GAHE members. I had the pleasure to join. The conversation with Dan Woods was very inspiring. Here are the five lessons I took away. Building a reliable team is critical to get anything done. “Don’t be arrogant and think that you are the only one who can do it right.” Believe in your team and support them in increasing their personal productivity. Mr. Woods learned during his career that he doesn’t have to know it all and he doesn’t have to figure it all out. Instead, sometimes you just have to throw it out there, be transparent and let your team know that you don’t have an answer. Just like many other leaders confess, this has been one of the tougher lessons he learned. Too often leaders think that when they are transparent and vulnerable other people will take advantage of them. After all, in this society transparency and vulnerability are considered more a weakness rather than a strength. However, the more successful leaders realize that both virtues are strengths and not weaknesses; they create the connection with people, it makes them human, and it takes the ego out of leadership. And people trust more. At the end, when people trust you more, they will stand behind you, support your vision, and give their best. One of the last questions was “how do the uncertain times and the current political climate impact your decision making and the organization? His response was clear that in uncertain times you take the foot off the accelerator and focus on your core values. “You can’t go wrong when you focus on quality and patient experience.” He also mentioned that in those times stress can clog up the way you think. Therefore it is important that you have people around you that you can trust and who will share their point of view. And sometimes your gut will tell you what you need to focus on next. I tremendously enjoyed this lunch and I thank Dan Woods for sharing his insights. If you are a member of the Georgia Association of Healthcare Executives, I recommend you joining one of these monthly meetings.